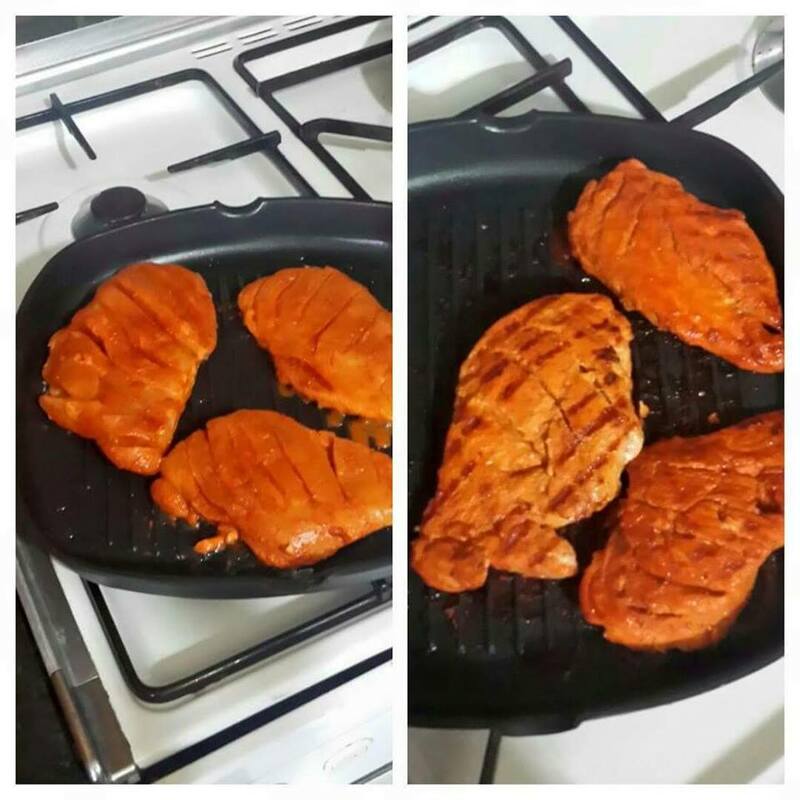 Here is a recipe for oven chicken by chef Zakir. This recipe is good for people who are on diet. Cut the chicken breast into 2 parts. In a bowl add chicken, lemon juice, salt, garlic and ginger paste and mix it well. Add crushed red chili, nutmeg powder, black and white pepper and oil and mix it with your hands in chicken. Coast the flour over chicken and bake it for 15 minutes. After 15 minutes, take out the chicken and mix the little salt, black and white pepper in egg, and mix that baked chicken in egg mixture and bake it again for 10 minutes. Serve hot with salad and fries.